In Modern Wales, it is no shock to run into someone who regards themselves as English, or Polish for that matter; so perhaps of particular interest to anyone who grew up in Wales or still lives there would be, how were non-Welshmen regarded and treated in Madoc’s day. Foreigners were classified in one of three ways; those in the country as a mere passer-by, those who were there for more than a passing purpose, and those looking to acquire a permanent place in Welsh society. 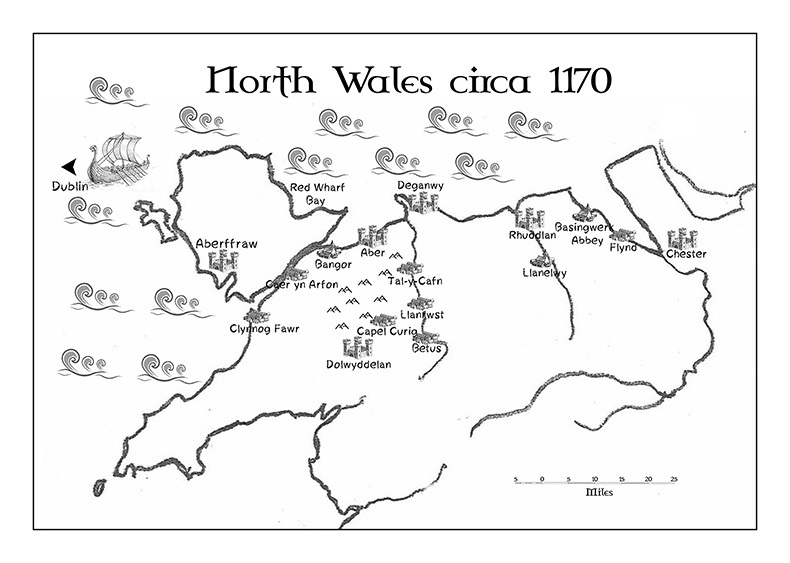 All possessed a considerable degree of freedom of action, but until a permanent position was acquired in Welsh society they were outside the rule of the common or customary law of the land. Every foreigner coming into the country had to be ‘vouched for’ by a Welshman i.e. there had to be someone responsible for the conduct of the stranger. If a temporary visitor were under the protection of a lord, he was allotted quarters among the settled unfree, who were required to lodge and feed him. A visitor of this nature was expected to show all his property to the host, and the protection of that property fell upon the host, who was bound to make good whatever was lost. The host however did not undertake responsibility for a sword or parts of apparel being worn; these the guest retained. If the individual fell under any charge and he was ignorant of the language, the king had to provide him with an advocate free of charge to defend him. No foreigner from beyond the sea or from a different country was liable to any punishment for theft committed by him within the first three days and nights after his arrival in Wales, if it were shown that he had demanded and been refused food. The reasoning being that if he had been forced to thieve for his subsistence there must have been a failure somewhere to observe the rules of hospitality. He was however bound to make good the loss occasioned.